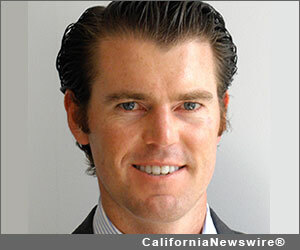 LOS ANGELES, Calif. /California Newswire/ — Edgewood Partners Insurance Center (EPIC), a retail property, casualty and employee benefits insurance brokerage, announced today that Jim Gillette has been selected by Business Insurance magazine as a "40 Under 40 Regional Broker Leader" award winner. Gillette is one of only eight to receive this honor in the Western Region. Gillette serves as managing principal for EPIC's Los Angeles Branch. In this role, he directs all branch operations and manages relationships with national and global clients in the technology, financial services, real estate, and private equity industries. "Jim is technically proficient, collaborative, service-oriented and personable – a combination used to provide tremendous leadership and outstanding service to all of EPIC's Los Angeles clients," said EPIC chief executive officer, Dan Francis. "Jim exemplifies the EPIC spirit and we are very happy to see him receive this honor." Gillette specializes in risk management and commercial insurance coverages as well as merger and acquisition risk. In addition, he has worked extensively with clients in the technology industry, from venture funded emerging growth companies to mature, publicly traded multinational enterprises. The "40 Under 40 Regional Brokers Leaders" were judged on excellence in client service, expertise in their field of operations, and effective leadership. Winners were chosen based on merit along with colleague and client recommendations, by a panel of Business Insurance editors. An award ceremony for the "40 Under 40 Regional Broker Leaders" of the Western Region will be hosted by Business Insurance magazine this fall in Los Angeles. EPIC (Edgewood Partners Insurance Center) is a unique and innovative retail property & casualty and employee benefits insurance brokerage and consulting firm. EPIC has created a values-based, client-focused culture that attracts and retains top talent, fosters employee satisfaction and loyalty and sustains a high level of customer service excellence. EPIC team members have consistently recognized their company as a "Best Place to Work" in multiple regions across California and as a "Best Place to Work in the Insurance Industry" nationally.